Lightweight shell jacket in wind and wateproof material with contrast colour and reflective piping on shoulders. Feminine fit. 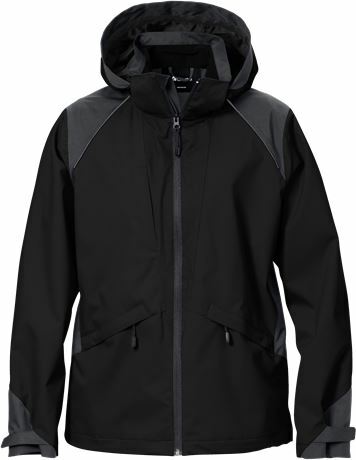 Material: 100% polyester, breathable, wind- and waterproof. Lining 100% polyester. 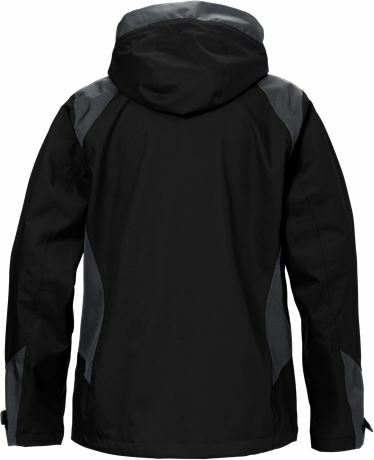 Breathable, wind and waterproof / Taped seams / Detachable hood adjustable with drawstring / Fleece lined collar / Full-length front zip with inner placket / Chest pocket with zip / 2 front pockets with zip / Adjustable hem with drawstring / Extended back / Inner pocket with earpiece slot / Zip in lining for easy embroidery and transfer / Adjustable sleeve end with velcro / Reflective detail on front / Waterpillar of fabric 5 000 mm / OEKO-TEX® certified.